The unique styling of the Hyundai Kona makes it a small SUV that is hard to miss when you are out and about. It certainly also helps that the colors used on the exterior of the current 2018 Hyundai Kona are so cool, with 7 different options to choose from. Depending on the trim level, you also get your choice of 3 different 2-tone color options. We thought it might be a good idea to tell you all about those color options, both inside and out, as well as the trim levels they are available on. As you will see, you may need to pick a specific trim level to get the color you want. The base model comes with all the colors listed above except for the Lime Twist. The Limited and Ultimate trim levels sit at the top of the range and are available in all 7 exterior colors, with no 2-tone options on offer. Black serves as the standard interior color in the 2018 Hyundai Kona and is used on both the seats and dashboard to deliver a sleek interior design. If you want a little break from all that back, you can opt for a splash of grey amid all the dark. 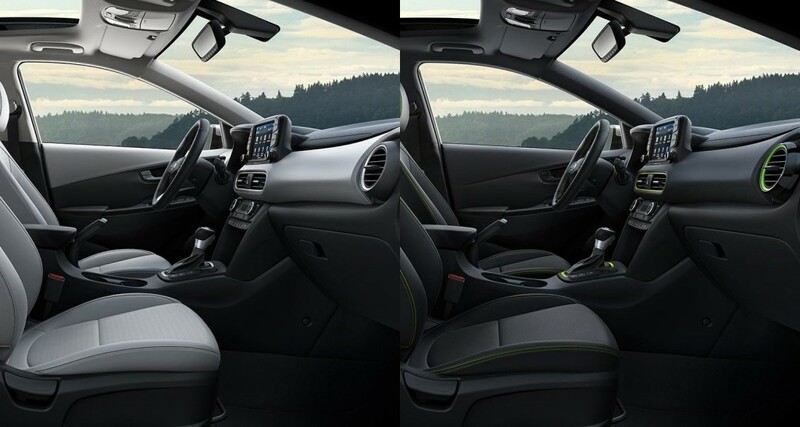 Depending on your choice of trim level and exterior color, you might also be able to go with a black interior with lime seat stitching and lime-painted inserts. This option is available on the Thunder Grey version of the Limited and Ultimate trim levels. While there are certainly plenty of color options to choose from, there are some who would like to see more, with orange and purple at the top of the wish list. Can I get the Kona in orange? This is a fair question when you consider that the Kona’s sister model, the Kia Soul, is available in orange. It’s certainly a popular option, but one that is not yet available for the Kona. How about a purple Hyundai Kona? Purple is a hue that would almost certainly be popular with female car buyers, but like orange, this shade is not available, at least, not yet. 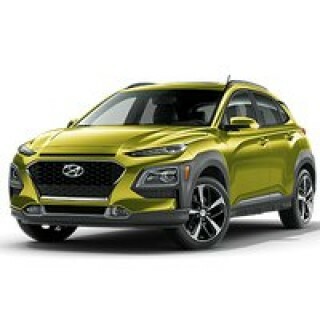 Hyundai are known for making changes and listening to their target audience, so don’t be surprised if some new exterior colors are made available down the line. For now, though, there are still 7 great exterior colors to choose from. Combine that with unique styling and some great engine options and you get an SUV that is always a smart choice.